Make any room a sweet-smelling sanctuary! No need for a flame! Sturdy and compact at only 4" diameter. Can go just about anywhere. 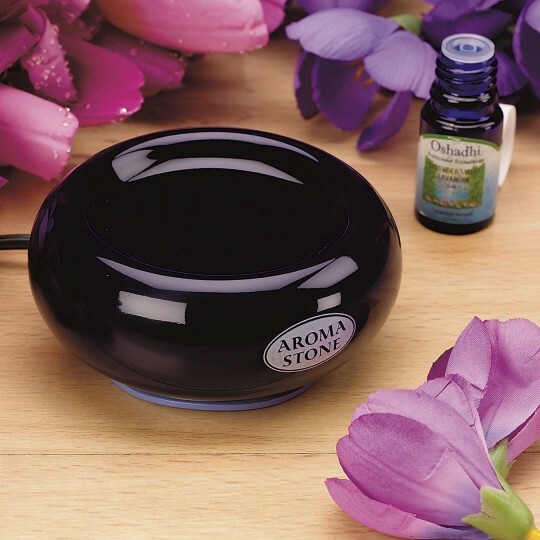 Gently heats aromatherapy oils and fills any room with soothing scents with no need for a flame! This simple, safe and clean oil vaporizer is sturdy and compact at only 4" diameter, so it can go just about anywhere. Just add a few drops of your favorite essential oil and transform a room into a peaceful, sweet-smelling sanctuary! Oil sold separately. This item worked great with my pure essential oils as well as some small fragrant wax discs. Thought this would be a good product to use for our sensory groups to add some soothing scents to our room but even in my small closet of an office can not smell any oils that I have tried. Very uneffective and disappointing especially for the price.